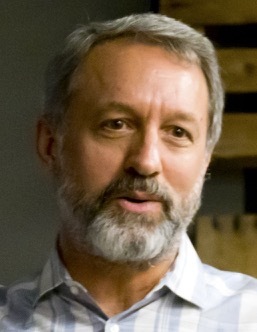 Stephen Armstrong is the founder and principal teacher of Verse By Verse Ministry International. He came to know the Lord in his early 30s, while serving as an Air Force officer. After becoming a believer, Stephen experienced God's call to learn and teach the Bible, so in 1997 Stephen left the military, found a job in Colorado, and began a self-directed course of study in preparation to teach the scriptures. As he devoted himself to study, Stephen developed a love for an in-depth, verse-by-verse style of teaching God's word, believing it to be the best means to persuade the unbeliever of the truth of the Gospel and equip the saints for the work of ministry (Rom 10:17; Eph 4:14-15). In 2001, Stephen received God's call to move to San Antonio, Texas, where he soon found opportunities to teach and preach verse-by-verse in churches throughout the area. Despite having no professional religious training, Stephen was called by God to lead a church planting effort in the city as pastor of Living Word Fellowship. That same year he also founded Verse By Verse Ministry of San Antonio (later to become Verse By Verse Ministry International) from his desire to offer his unique style of in-depth Bible teaching to a worldwide audience via the internet. VBVMI's worldwide reach is evidence of how the Lord calls unqualified men but doesn't leave them untrained. Stephen's responsibilities on the VBVMI Board include overseeing all teaching and doctrine, setting ministry vision and strategy, directing ministry operations, and conducting ministry public appearances. Stephen lives in San Antonio, Texas with his wife and two adult children. Stephen also serves as pastor of Verse By Verse Fellowship in San Antonio, Texas.